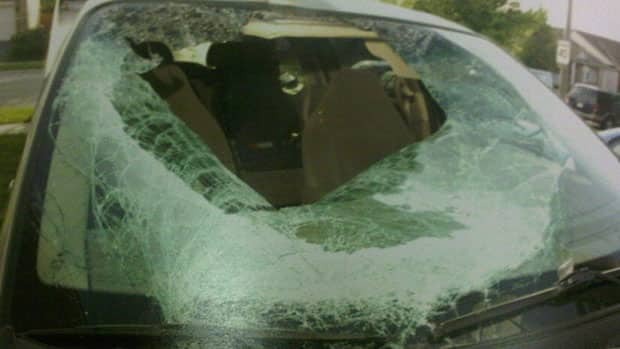 The front windshield of Sommit Luangpakham’s vehicle was smashed in after the crash in 2009, injuring five cyclists. This is a great editorial by Bob Mionske, in my opinion, and worth reading. Well, yes, it is somebody’s fault. It’s your fault, it doesn’t matter that you didn’t “intend” to hit somebody. You did hit somebody, and if you didn’t see the cyclist because you weren’t paying attention, it’s your fault. This entry was posted in bicycles, bikes, Blogroll, choppers, covert, cycles, DIY, do it yourself, garage hacker, homebuilt, recumbents, transportation, Uncategorized, welding and tagged bike plans, bike safety, court rulings on bike accidents, injured cyclists, Kanata cyclists hurt, road rights, share the road. Bookmark the permalink.